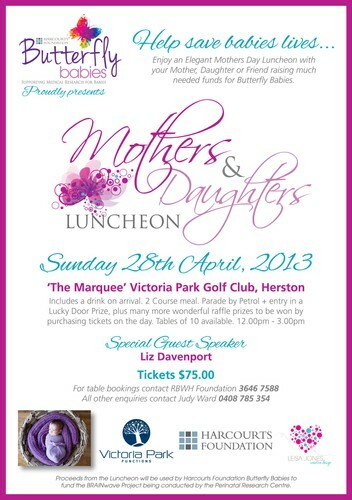 Help save babies lives and enjoy an elegant luncheon. Includes a drink on arrival, course meal parade by Petrol and entry in a lucky door prize, plus many more wonderful raffle prizes to be won by purchasing tickets on the day. Tables of 10 available. Special guest speaker is Liz Davenport.